Always check the labels on your cleaning products and treat them with respect. Modern cleaning agents are powerful and effective – a little goes a long way. This powerful cleaner destroys germs and breaks down grease. Use this product with some caution as splashes will mark clothes. Dilution: 600ml bleach to 10 liters water (1 pint bleach to 2 gallons water). Never use this undiluted, except in toilets or drains. Bleach can be useful for general cleaning of floors and walls. 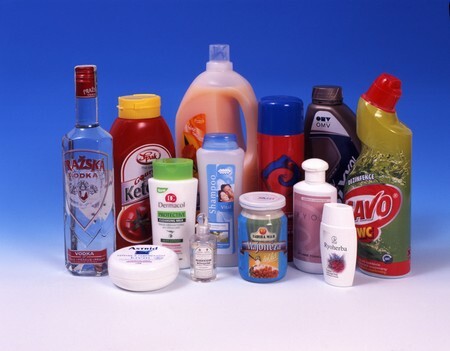 Don’t use it on enamel, wood, plastics, stainless steel, laminates, paint, or aluminium. Always rinse well after use. An abrasive cleaner for hard, scratch-resistant surfaces such as oven interiors or use to scour pans. This is a cleaner that also destroys germs. Use diluted to clean walls, tiles, and hard surfaces. A combination of detergent and water softener (and sometimes a little bleach), these cleaning agents don’t need rinsing off and can be used on most hard surfaces around the home. Specialized kitchen and bathroom products contain only the amount of bleach that’s safe for the recommended use. Don’t use them on wood, aluminium, or on painted or lacquered surfaces. These fluid and mildly abrasive cleaners are for hard finishes (such as cookers, kitchen appliances, stainless steel, enamel, chrome, and laminates). Do not use on aluminium. Always rinse off well. This is a traditional, all-purpose cleaner, it is not very convenient to use, and has now been replaced by many single- and multi-purpose cleaners. This kind of product cleans and disinfects surfaces while destroying the bacteria that can cause food poisoning. It is a good choice for both the kitchen and nursery. This mild detergent has many uses. Diluted in warm water, it can be used on most washable suriaces around the home, including aluminium. Washing-up liquid must always be rinsed and dried off surfaces to avoid streaking. 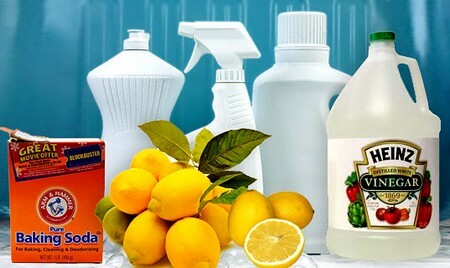 Many household cleaners contain bleach and strong detergents, particularly those used in the kitchen and bathroom. Protect your hands and clothes by wearing rubber gloves and an apron, and wash off any splashes immediately. Never mix chemical cleaners. They may react with each other and give off noxious gases.